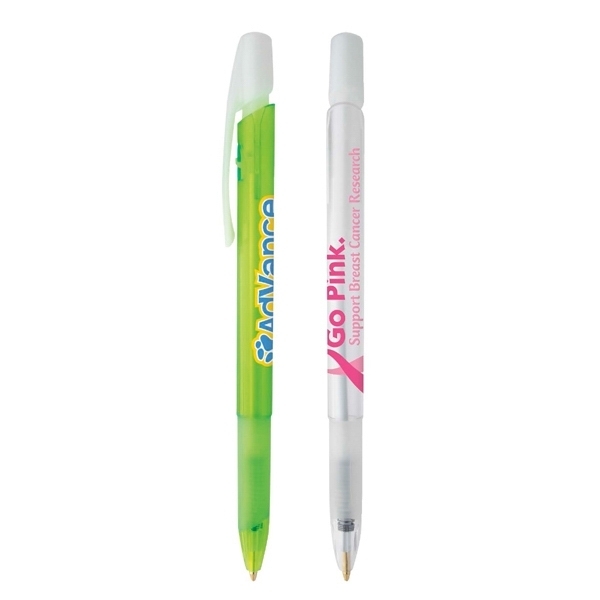 Get a "grip" on your campaign with this classic giveaway! 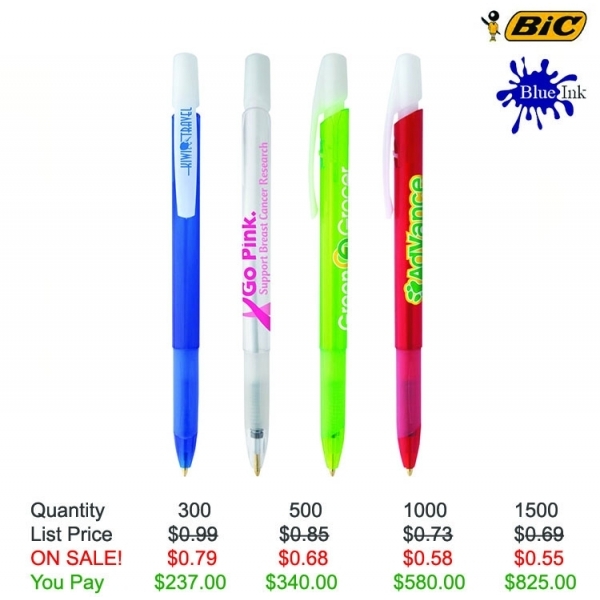 Assembled in the USA, the BIC (R) Media Clic (TM) Ice Grip, medium point ballpoint pen features an innovative retracting mechanism, comfortable frosted white gripping section, and frosted white trim. 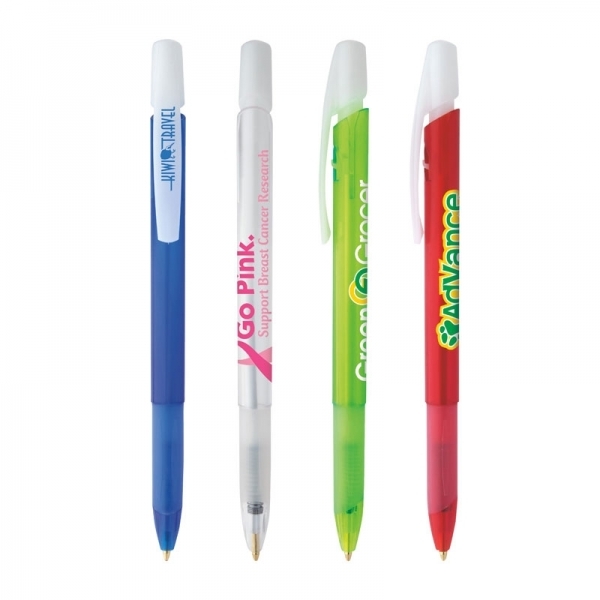 A silkscreen of your imprint will spread your company's message everywhere the pen is used! 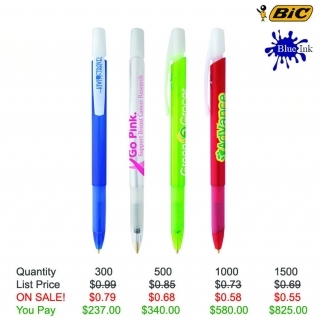 It's a perfect piece for any business, project or venue. Order today for your next "cool" event!